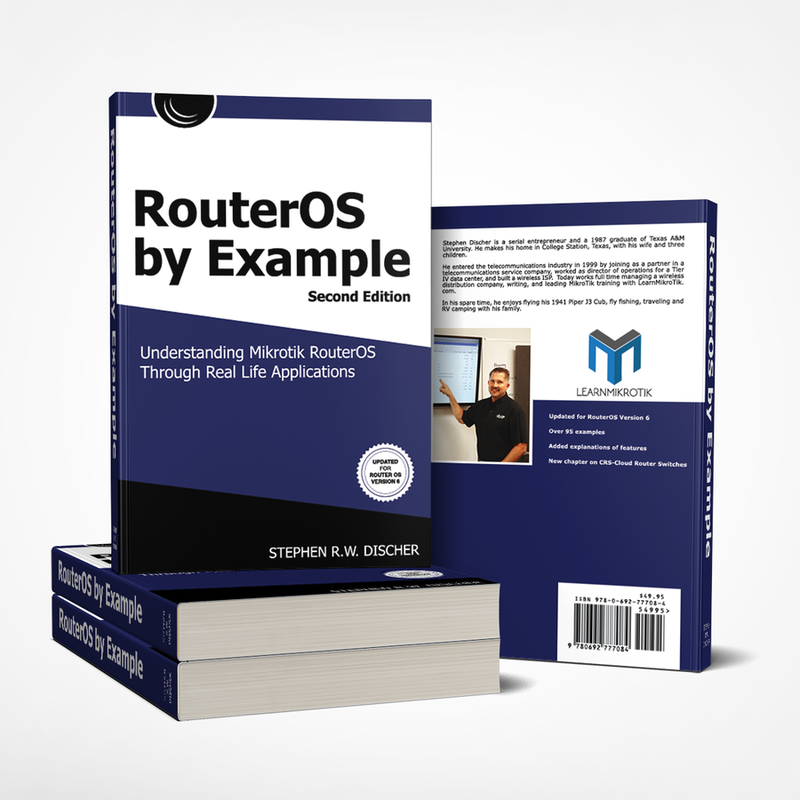 RouterOS by Example 2nd Edition Gives You an Understanding of MikroTik RouterOS Through Real Life Applications! RouterOS by Example is a great start for beginners learning the MikroTik software as well as a solid reference for intermediate to advanced users! RouterOS by Example covers all of the subjects presented in the MikroTik Certified Network Associate certification course, each explained through real life examples. This second edition is an update, with new examples created from Version 6 of RouterOS, and new material including a chapter on the switching functions of the CRS, Cloud Router Switches. Years ago when I downloaded my first copy of the RouterOS software, it didn’t take long to realize the power I had at my fingertips and quickly learned to appreciate the numerous features this routing system performs to “wow” my clients. Unfortunately, the gap between the documentation and actually solving problems with this powerful tool was wide, and I saw a need for a complete, example oriented, textbook type guide. I have always been a “hands on” type of guy. I learn by doing and I teach through examples and have attempted to do that in this book. If you too want answers and are ready to enhance your “solutions tool box”, then you have picked a winner with MikroTik and RouterOS. This book is a second edition, but not just an update. It became necessary because a few things have changed in RouterOS since the first edition and so the book has been edited to include those changes. In addition, more tips and tricks are shared in this second edition. ” Stephen has taken a much different approach than another US author.